Salt is a ingredient that can be found in any household. It is also commonly used and there are people claiming that they are addicted to salt. Why is salt so important to us? Well, our bodies are composed of salt and since we lose salt whenever we sweat, it has to be continually replaced. Most people don’t know the many uses of salt, one of them is the cleaning purpose. 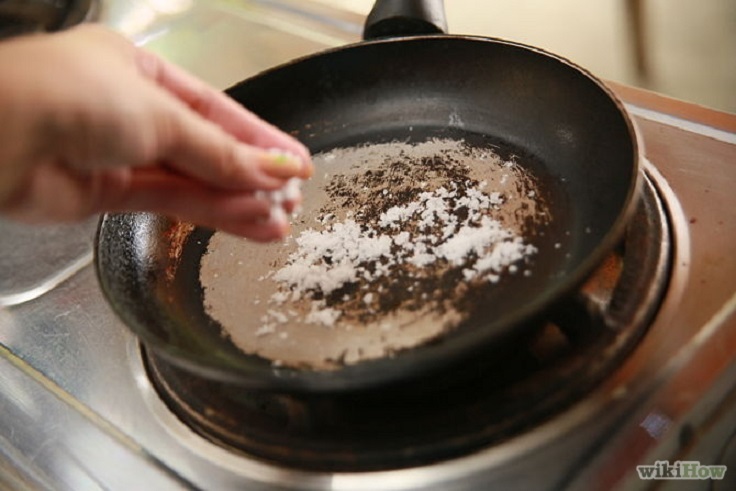 Salt can clean lot’s of unexpected things like greasy pans and wine spills. The salt scrub is also detoxifying and antibacterial. If you are out of cleaning supplies and want to try something less expensive, get yourself some good old salt. Do you use salt for cleaning? Comment bellow. Can’t bare the awful smell of your refrigerator? Salt is here to save the day. Stay away from the chemicals that might interact with your food. In a bowl mix water, salt and soda. Rub the inside of the fridge. 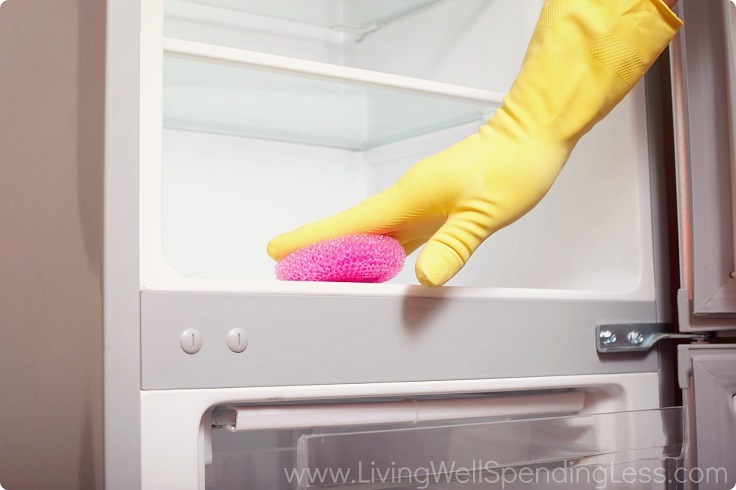 This will keep your food chemical-free, will deodorize the fridge and will keep it clean. Rust is a common occurring in the household but don’t be worried. Mix some salt and lemon and spritz the rusty stain. Leave it for couple of minutes and rub off with a sponge. You can do the same thing by mixing salt and cream of tartar. 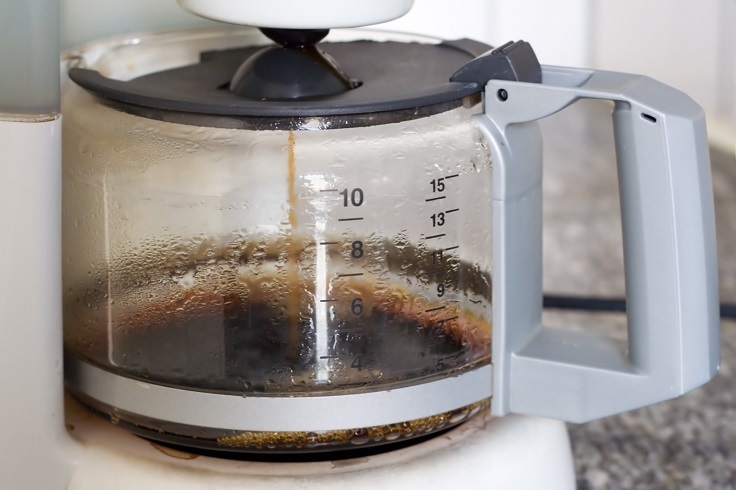 Every waitress’s secret for cleaning big coffee pots is salt. Add some ice and salt in the coffee pot and swirl around. The ice helps with the rubbing. Rinse the pot with some water and voila, the coffee stains are gone. Same goes for big glass coffee mugs. 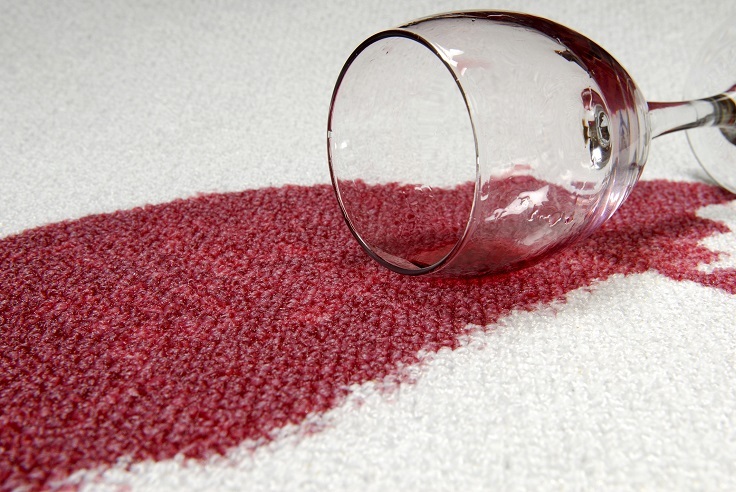 Oh no, the blood red wine just spilled on your favorite carpet! Hurry up and put as much salt as you can on the spot, the salt will absorb some of the wine. Before putting the carpet in the washing machine, soak in cold water for half an hour. 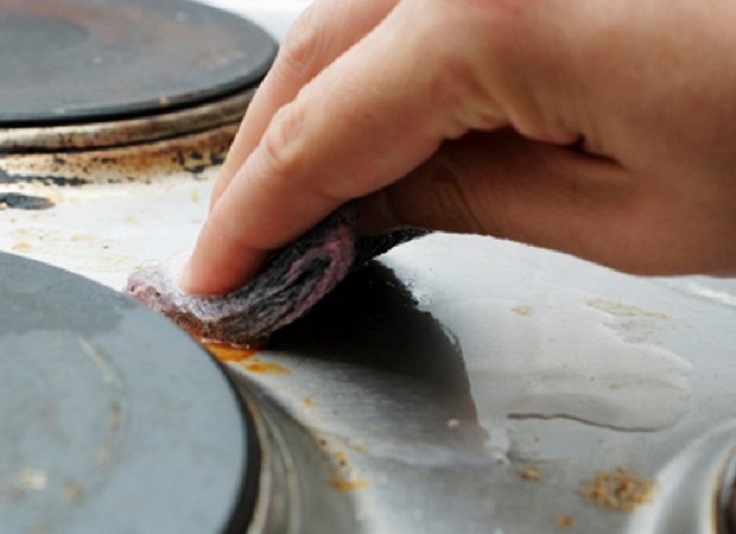 Do you hate it when the sponge gets all soaked up in grease that can not be rinsed off? Once again, salt is on the rescue. Sprinkle salt and get a paper towel. Gently wipe the pan rubbing it with the salt, add extra salt if the pan is extra greasy. 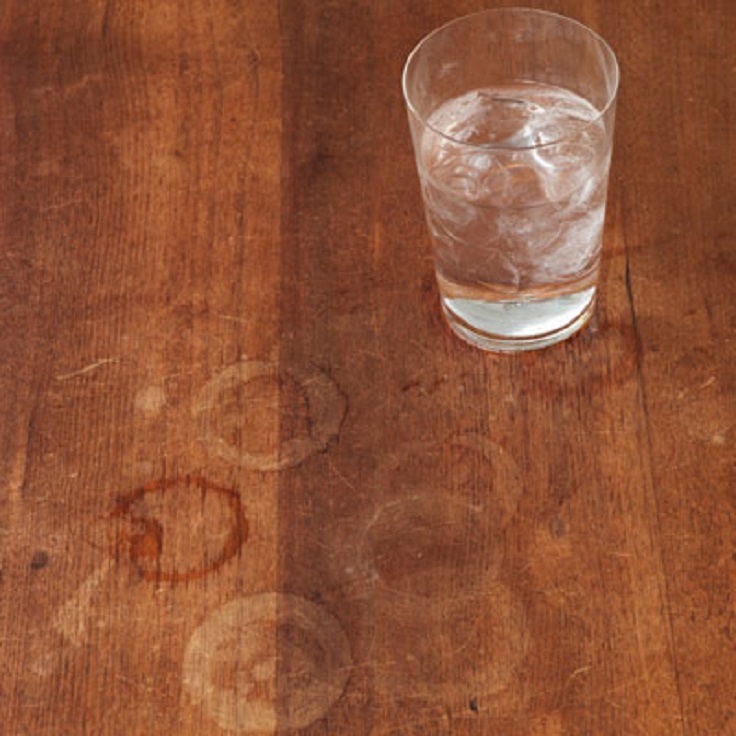 Water stains on your favorite wooden table are annoying. And they can’t seem to vanish. In a cup mix salt and vegetable oil and gently rub on the water stains caused by glasses, other dishes, pots etc. mostly on wooden tables. Say goodbye to the armpit stains mostly caused by antiperspirants. For the mixture you will need:4 tablespoons of salt and one quart of hot water. 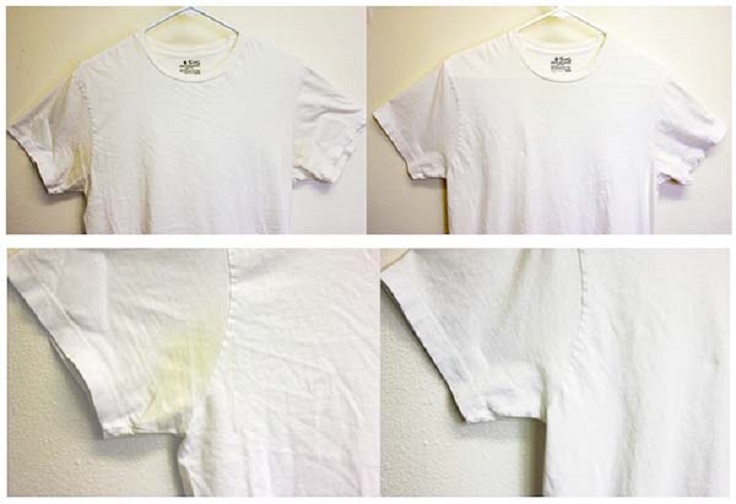 Mix the ingredients and rub the fabric with a sponge, watch as the stains go away. 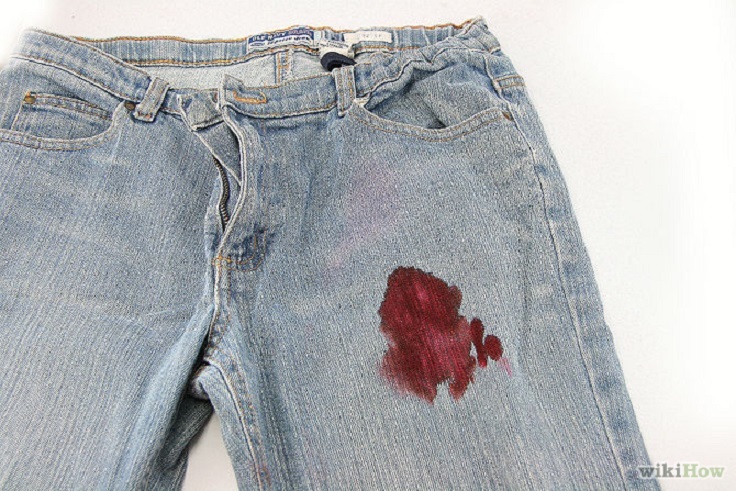 If you are in a situation like this one, there is a simple and quick solution for removing the blood stain. Soak the fabric in cold, salted water. Lander in warm water with soap and finish with boiling after the wash. Be careful, not all fabrics can be exposed to high heat. Get rid of the annoying insects in your home with salt. Ants don’t like walking on salt, they will avoid it at any price. 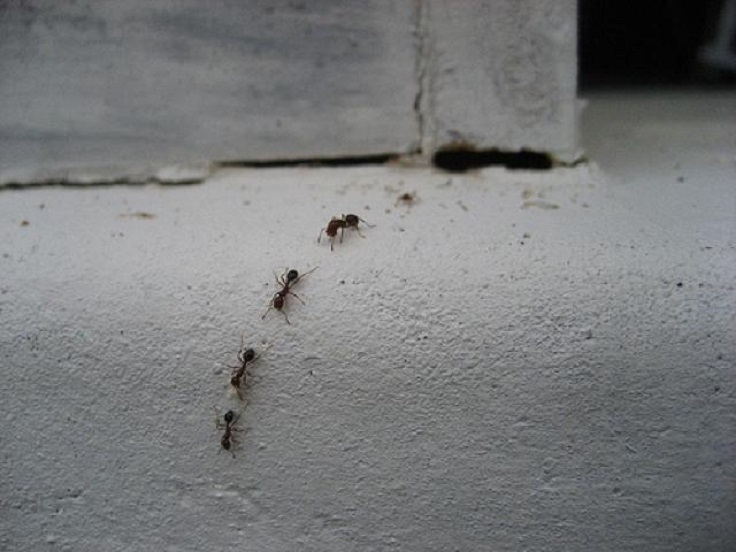 Sprinkle salt at doorways, window frames and any place that ants come to visit. You will notice them quickly retrieving in their shelter. Use salt for perfectly white teeth. Mix one part fine salt to two parts baking soda. Dip your toothbrush(get a separate toothbrush) and gently rub your teeth. 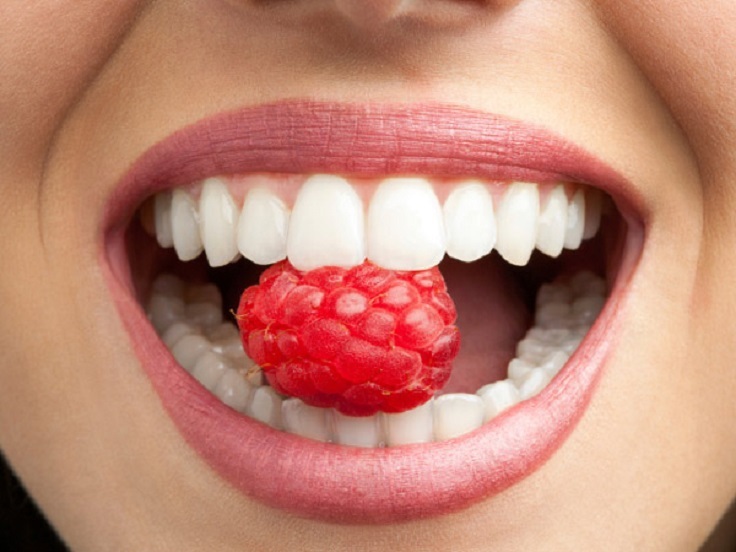 Wash your teeth 2-3 times per week with this mixture and you will notice the difference after the second week.